Rotterdam - Traditional Dutch churches and believers are becoming extinct species. 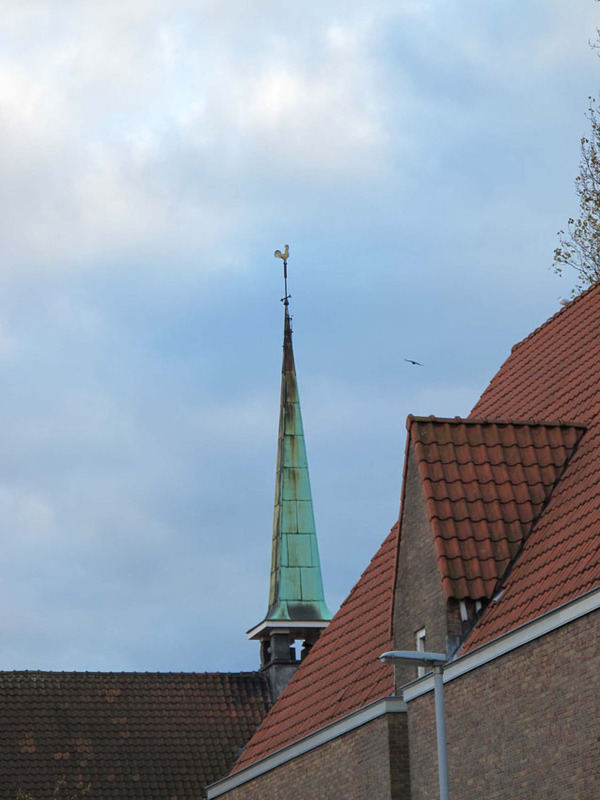 This is a spire of a former reformed church in Tarwewijk. It is now the home of a church called Victory Outreach. They work with drug addicts and other people who live their lives in margins. New churches have their roots in African and the Caribbean and have names like: the Potter’s Hand’ of the Covenant Word International Ministries, the Holy Fire Revival Church, Thugz’ church and the Redeemed Christian Church of God. House of Hope, the new name of the old Christian Reformed Church in Bas Jungerius straat was opened summer 2010 by the Dutch Secretary of State Rouvoet. There are still Sunday services, but the church works mainly as a social institution, with a social worker, home visits, food bank, child care, a handy man, a marriage course, free meals, womens’ counseling group and free sport- music lessons.